In today’s interview I get to speak with circadian rhythm scientist, Elyse van Spyk, about new research showing eating too late in the day can affect the skin’s ability to heal itself from UVB light (sunburn light). Elyse is very passionate about understanding our body clocks (a.k.a circadian clock or chronobiology) and the influence that has on the health of our skin. She is a co-author of a health research paper published in the journal, Cell Reports, that made headline news around the world for its finding. We not only talk about how scientists have discovered what time of day we eat influences the circadian clock in the skin, but also, we go into some other body clock research findings & the concept of time-restricted feeding. If you know someone who is interested in fixing their body clock or helping skin stay strong and age well then this episode is for them! I enjoyed this interview as I have been following different concepts in circadian rhythm research, but had never heard of how I could possibly be making my natural skin sun protection ability and repair mechanism weaker just by snacking on food too late in the evening. After speaking with Elyse I have a better understanding of our body clock biology. I have taken notice of my personal eating window during the day and now try avoid regularly eating food or drinking non-water after 6pm in the day. Special thanks to Elyse for joining me on the show. Enjoy the episode! 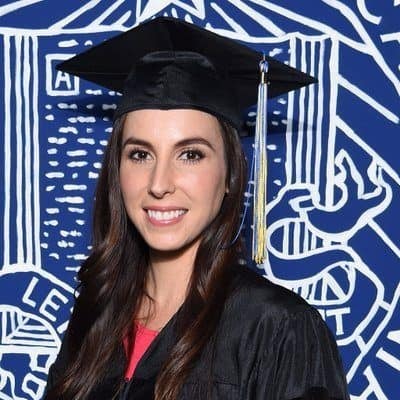 Go to Elyse Twitter account to follow her here to find out more about research she is involved in or connect with her on LinkedIn. [0:20] – Introducing Elyse, a PhD candidate – she will be defending her doctor of philosophy in November 2017, and is advised by Dr. Bogi Andersen from the University of California School of Medicine Department of Biological Chemistry. [0:46] – What are circadian rhythms? Elyse starts by explaining that circadian rhythms, or natural body clocks, allow organisms to anticipate changes in their environment and in turn make them more equipped for survival. We are better equipped to deal with external changes as well as every cell in our body has the rhythms to separate different biological processes. [4:40] – The research paper Elyse was involved in is titled: “Time-Restricted Feeding Shifts the Skin Circadian Clock and Alters UVB-Induced DNA Damage“. It was a study on the effect of food intake timing on the circadian clocks in skin of mice and exposure to UVB light. She explains how they conducted the experiment and how they found that 10% of the genes expressed in the skin are circadian and affected by the feeding schedules; the mRNA levels were altered. [7:11] – Elyse explains how they found the combination of cells in S-phase (cell DNA synthesis) remaining in phase and the expression of Xpa gene (Xeroderma pigmentosum complementation group A), which repairs DNA, being dampened could be creating detrimental effects and explain why there is greater sensitivity to UVB-Induced DNA damaged at certain times of the day. [12:58 – Extrapolating from the study on mice we can assume that eating at certain times of day affects our skin. How fast does this change happen? To reset the circadian clock in less metabolically active cells in the body, like the skin, it takes an extended period of about a month of eating late. [11:38] – When is it ‘too late’ to eat for humans? We are diurnal and are meant to eat during the day-time hours only for optimal health – not just for skin but the entire body. 6PM, when the sun goes down should be the latest and after that, the later it gets the worse it is. [17:11] – Dr. Satchin Panda, also a circadian biologist, talks about this topic, as well. His lab has developed a cell phone app, called myCircadianClock, that helps us track when we are eating and our circadian activity. [17:50] – Elyse talks about the need to increase awareness among the shift-working community, which will be the most affected by these problems. We don’t know for sure to what extent we are making ourselves more susceptible to skin cancer and it is just not worth taking that risk. [21:11] – When trying to improve your own health it is important to start with the foundations – this is where getting the body clock in tune comes in. Metabolically it is very important to eat and sleep at the right time. [24:12] – Elyse has been pioneering immunology work around circadian clock and feed schedules that regulate the interferon response in the skin. She explains how she has been studying how feeding times affect the effectiveness of a topical cream which works by activating the skin immune system used for treatment of different viruses and cancer. [26:06] – Other good things to note is if you choose to go to a tanning bad do it first thing in the morning, in the evening the skin is more sensitive and not healing as efficiently. [27:34] – In the Mediterranean, families tend to eat late in the evening, however, they also tend to have healthy diets (lots of olive oil, legumes etc.) whereas in America they tend to eat poorly, later and later at night which could be a contributing factor – there was a study saying that eating more tomatoes also makes us more equipped to handle DNA damage in the skin. It comes down to a combination of factors including what we are eating, when we are eating as well as melanin content in the skin. [31:50] – There are some preliminary studies coming out recently that also show that our skin is sensitive to fluorescent, blue wave light which is more detrimental to our skin and could cause damage. Elyse says she is yet to look into this and because these studies are quite preliminary we are yet to see if this is truly the case. [33:37] – We have two big layers of our skin; the dermis is made up of mostly fibroblasts and the epidermis is the basil layer where the progenitor cells are and where the cells are dividing to create the thicker epidermis or the outer layer. The body clock is in every cell in our body, but the progenitor cells are highly circadian. [34:45] – This study can be replicated in humans, but there are issues around taking a biopsy, which can be painful or cause scaring. Elyse talks about potential ways around this and the importance of having the right medical professionals taking it on. [36:06] – Elyse explains that the area they focus on is studying transcriptional networks (TN), which are in every signal cell. Their focus is on TN in the skin during development, during wound healing and at the single cell level. It is interesting to note that there might be an amalgamation of many circadian rhythms in the skin that might be slightly different in phase to one another in different cell types. [37:30] – What about skin that has been trained and tanned in the sun or dark skin tones? Elyse believes that these people still have circadian Xpa, and that people of all races should consider this effect – it’s better to be safe than sorry! [38:42] – Talking about the concept of the age of skin. In humans, there is no robust circadian rhythm in the first months of life, as most mothers will know. Elyse explains that we really don’t know what is happening during the development and that potentially makes babies even more predisposed. She mentions surprising studies looking at the skin from human eyelids that showed even people who don’t have cancer still have these mutations, it is just that they are not in the right combination to cause skin cancer. 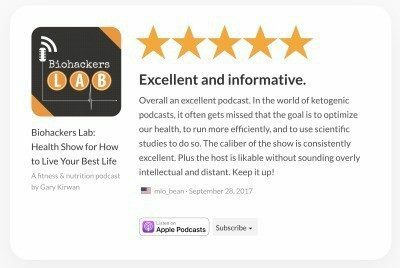 [41:10] – One of the aspects of aging is abnormal sleeping patterns and the elderly can possibly have a more arrhythmic circadian clock, but there are also additional factors that could make older people more susceptible to UVB induced DNA damage such a thinner skin. Elyse believes the elderly should avoid the sun as they may not be able to repair the DNA as efficiently as younger people. She also mentions how in humans this effect can vary a lot from person to person. [43:00] – Gary summarises that while we can take on board general advice from different epidemiological studies, we are all very individual and have led different lives with different experiences and exposures. At the end of the day we need to apply the n=1 methodology and see how we feel and works best for us. [43:38] – Gary wonders if, with his Northern hemisphere genetic background, being fair skinned and having difficulty tanning, could he increase his skin’s resilience to sun exposure by eating at the right times. Elyse also reinforces the number one way to protect the skin is by covering up and wearing sunscreen. [45:28] – From the food perspective the cycle starts when we first ingest food in the morning. With this in mind when it comes to intermittent fasting, skipping breakfast might not be a good thing to do in terms of health. For optimal phase Elyse suggests eating shortly after waking up and then following whatever schedule works best for you until the sun goes down. If you have to eat at night there are guidelines available online about the best choices, however, there should be more studies on this and Dr Panda explores this more in his studies. [48:01] – What is the best food to eat in that ‘golden hour’, first thing in the morning? Because we have all day to burn this off during the rest of the day, Elyse admits that if she needs to eat ice-cream she will do it first thing in the morning! Protein is a great way, too, if you want something that will fuel you for the rest of the day. [49:41] – Take home messages are: eat during the daytime, avoid late night snacking, wear sunscreen and protective clothing. Also keep up with the literature. If you are applying skin care products it will be better absorbed and applied at night because this is when your skin is rejuvenating. [52:10] – To find out more visit Elyse on Twitter. She also recommends following Dr Joseph Takahashi, from UT Southwestern who discovered the circadian clock in mice and has been an invaluable resource (Twitter @CircadianClocks), the UCI School of Medicine and Dr Paolo Sassone-Corsi who is another circadian biologist who studies metabolism.